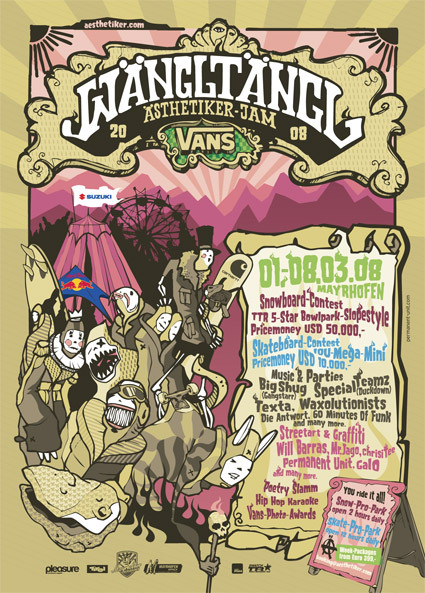 A legendary Snowboard event, a skate contest, an art exhibition, concerts and parties; everything merges at the Ästhetiker Jam in Mayrhofen into a week of intensive boarder lifestyle. All riders need to know is that a snowpark like this has never existed before… and that there is US$50.000 to be won. Not forgetting that the Wängl Tängl is set to be the hardest party week ever! Looks like it’s gonna be an insane event!